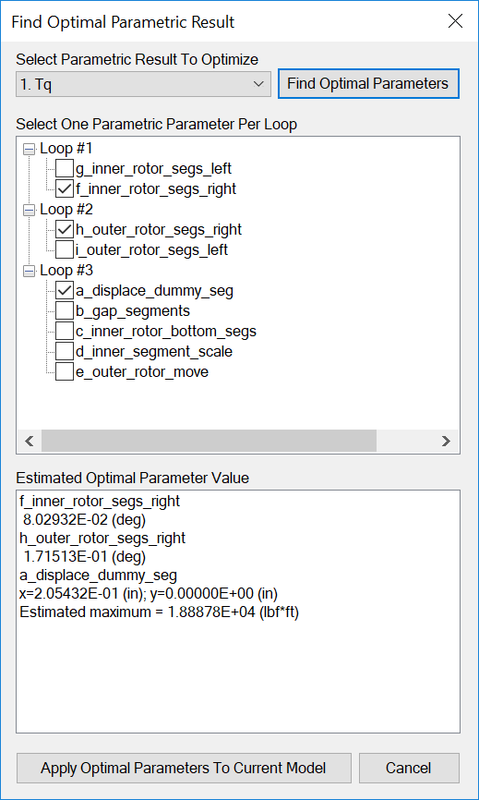 The next version of Integrated Engineering Software (IES) programs will have a parametric optimization feature so you can efficiently explore, understand and optimize your design with very little additional effort. Users of our programs can find the optimal design seamlessly within our program without writing their own optimization procedure or going to a third party optimization program. Users only have to decide what parameters to change for their design, choose the result to maximize, set up a parametric analysis, and our program will find the best design parameter values. Optimal design of an Actuator. Optimal design of a Cycloid Permanent Magnetic Gear. Optimal design of a Permanent Magnet Generator.